Get Your Free Goodie Box. Daily Goodie Box will send you a box of free goodies and all you have to do is let them know what you think. Shipping is Free. No credit card required EVER. 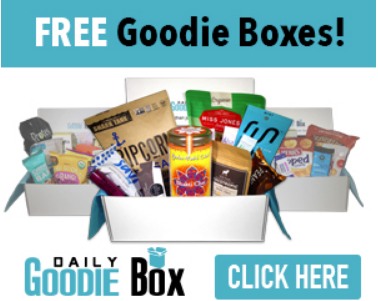 Sign up With Daily Goodie Box, It’s 100% FREE – be sure to fill out your entire profile. 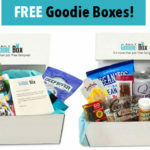 Request your FREE Goodie Box – Did they run out of boxes? No worries, more will be stocked soon. Update for registered users be sure to check out their Facebook Page, they give away boxes to those that leave comments on giveaway posts each week. Some posts they give away over 100! Note: You must be registered already to qualify for the Facebook giveaways.